Hosted by Tommy Marz. Interviews, reviews, back-stories and behind the scenes. The occasional argument and a bunch of stuff to disagree with. Music, Film and Entertainment discussion. Tommy Marz interviews Berlin sensation - Mogli. They discuss her new EP coming out, touring and take an in depth look into Mogli's new song & video - Another Life. Tommy lists his Top Ten Jack Black Movies. 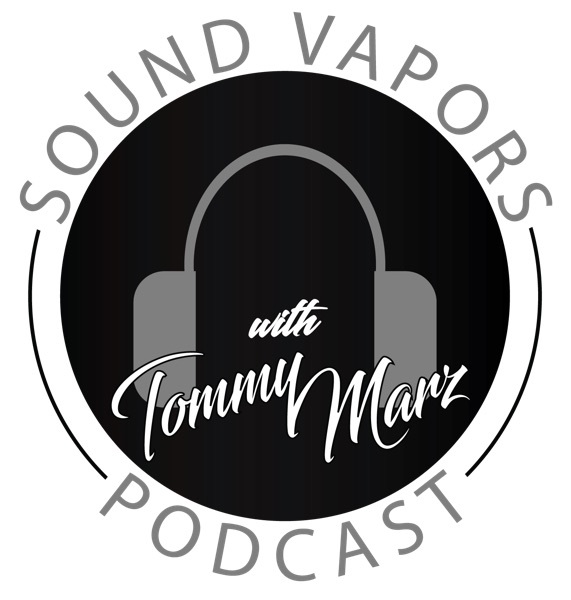 Tommy Marz interviews drummer Chad Butler from the band Switchfoot. Chad talks about the current tour and the bands latest album - Native Tongue. Chad also lists his favorite drummers and drum songs. Tommy takes a look at this weeks top album sales charts and lists his top ten favorite drummers. Tommy Marz interviews guitarist Joel Hoekstra from Whitesnake. They talk about touring with Cher, some of Joel's favorite records and influences. Joel talks about his rig set up and his admiration for Angus Young from AC/DC. Joel then takes questions from fans on Twitter. Tommy talks new record and podcast hiatus. Tommy Marz interviews Mike Gowen from Milestone Publicity. Mike talks about his new company and his exit from publicity giant MSO PR. This is a must listen for any band thinking about launching a new record. Tommy reviews the new Papa Roach album 'Who Do You Trust'. Tommy also lists his Top Ten Bruce Willis Movies. Tommy Marz interviews Darryl 'DMC' McDaniels from the legendary group Run-DMC. They talk about Darryl's new music that's on its way. Special collaborations with artists like Mick Mars from Motley Crue, Myles Kennedy from Alter Bridge and Sebastian Bach. Darryl also talks about Run-DMC's first album and shares some heartfelt words about the late producer, Larry Smith. Finally, we find out if the long rumored Run-DMC biopic is going to happen. Tommy Marz catches up with Salvador Santana to talk about his collaboration with world famous DJ, FELIX and their new single 'Panic Mode'. Salvador talks about being 2 years old and siting on the lap of his father, Hall of Fame guitarist, Carlos Santana, and playing the drums while his father worked the pedals. He then describes his journey towards playing piano and keyboards. Sal gives us some of his influences and shares a cool story about the great Herbie Hancock. Tommy Marz talks with Vegabonds lead vocalist and songwriter, Daniel Allen. Daniels talk about their new album and some inspirations behind the making of it. Tommy lists his top ten favorite comedians and takes a look at some of the new albums coming out in the first quarter of 2019. Tommy Marz breaks down his top ten albums from 2018. He also gives another ten albums that are his most regularly played in the car. Tommy Marz talks with LAW front man Jakob Nowell. Jakob talks about the bands debut album and recording at Rancho De La Luna in Joshua Tree. We go deep into the inspiration his late father, Bradley Nowell from the legendary band Sublime, has brought him with his career and discography. Tommy explains the 3 levels of hate in regards to Greta Van Fleet. He finishes up with a Top Ten Christmas Movie list. Will Die Hard make the list? Tommy Marz talks with the voice of Tommy Pickles of Nickelodeon's animated series and movies Rugrats, E.G. Daily. She talks about her career and new single 'So Pretty', and the powerful message the song houses. She also talks about her experience filming an episode of 'Friends' and being the musical guest on 'Saturday Night Live'. Tommy finishes up with a Keanu Reeves Top Ten. Tommy Marz breaks down the album sales charts - pure album sales vs. sales + streaming. Interview with Marc Martel. Marc talks about his new album, going viral on YouTube and providing vocals for the film Bohemian Rhapsody. Tommy finishes with a Michael Keaton Top Ten. Sort of. Tommy Marz reviews the new Smashing Pumpkins album. Guitar legend Kenny Wayne Shepherd talks with Tommy about his current tour, his latest album, plans for a new record and a few cool memories of Detroit. A new top ten list of Tom Hanks films and a look at the latest album sales charts.